The Barock pinto, the Frisian pie! The Barock Pinto is a young breed, indeed it was born in 1960 in the Netherlands. From what I understand the studbook is still open, ie that a breeder can register a horse that matches the standard of the breed. 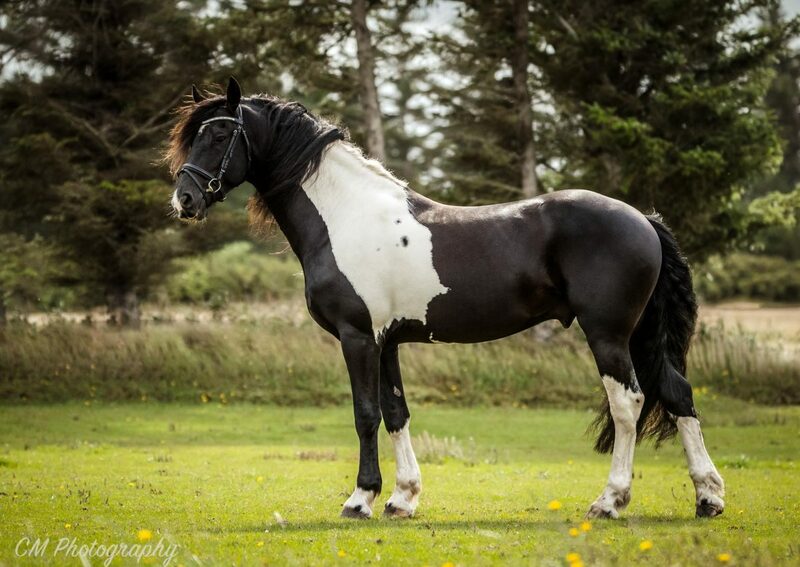 A rock Pinto must have at least 37.5% Frisian blood and be crossed with a German or Dutch saddle horse. Originally very controversial, the Frisian breeders wanted to keep their breed. Nico is the standard at the origin of the race. However the breeders who had their mare bred by the stallion were often punished with a fine. Thanks to the popularity of the stallion he was saved from confiscation and bred 150 mares, a considerable figure for the time since there was no artificial insemination. In appearance the Rock Pinto resembles a Frisian, ie an abundance of horsehair but also small ears. A pretty strong head with expressive eyes and broad nostrils. A high and muscular neck port. And of course it is black and white pie. It is bred for a training purpose mounted or harnessed. But also full and endurance.